Home / Derby in the Kitchen / Got Breasts? 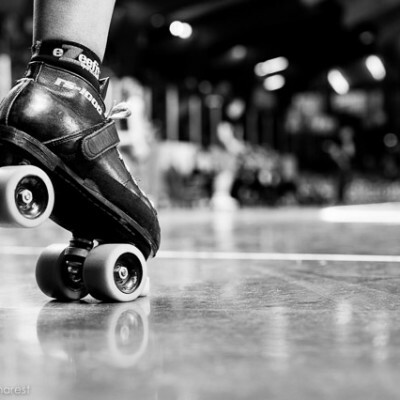 A disclaimer: today’s post has absolutely nothing to do with roller derby. 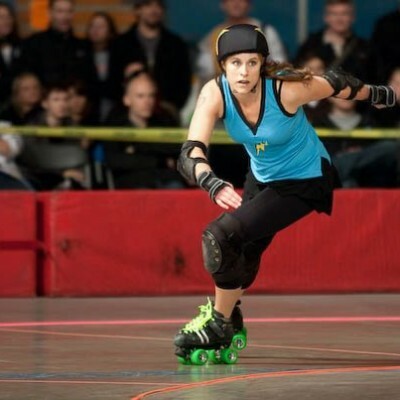 BUT, roller derby is a sport played mainly by women, and this post has everything to do with women’s health. I’ll be up front here. I already eat a mostly-vegetarian diet, allowing myself what I call a “meatty-meat day” once a week or so, and occasional slips here and there (especially in the seafood department). I do this mainly for environmental reasons (in short, it takes far less land, energy, and CO2 emissions to feed me than an average, meat-eating North American), but not really for any particular health benefit. There have always been lots of articles and books out there telling you of the healthy benefits of eating a vegetarian diet (lower body weight, reduced risk of certain cancers like colon cancer, healthier eyes/skin/hair, etc.). Recently though, more research is coming to light showing some serious health risks associated with eating meat. Your “healthy” grilled chicken salad appears to actually be promoting disease in your body – specifically, breast cancer. Kathy Freston recently reported online at the Huffington Post about the discovery of the health threat posed by meat cooked at high temperatures. Compounds formed in meat during cooking are now being called “three strikes” carcinogens, “because they cause DNA mutations (strike one), and they promote cancer growth (strike two), and they also increase its metastatic potential by increasing cancer invasiveness (strike three). Most known carcinogens seem to act either as initiators, causing the initial development of cancer, or as promoters, facilitating the spread. But here we have a carcinogen that is covering cancer’s bases from all sides. Terrifying! “Women eating more broiled, grilled, fried, barbecued, and smoked meats appear to have up to 400 percent higher risk of developing breast cancer.” It doesn’t get much more clear than that, folks. I urge you to read the article and educate yourself about the threats. Share this with your sisters, moms, teammates, and daughters. Think about your own family history and other risk factors (smoking being a big one), and ask yourself if you can afford to ignore this information. After reading Ms. Freston’s writing, I know I’m going to start reducing the frequency of those meat-cheat days right away. PS: Does moving to a vegetarian diet seem too inconvenient? Changing the food you buy and cook too scary or challenging? Think you can’t live without bacon? Post in the comments below and let me know what holds you back. Another article in the near future might just address your concerns. I’m just going to say that while I don’t need to eat cooked meats everyday, the thought of cutting cooked meats out to avoid the chance of cancer means that my quality of life will drop drastically. At a certain point I have to look at my life style choices and say that NOT doing something I love is a 100% chance of being sad for a 40% chance of being healthier. 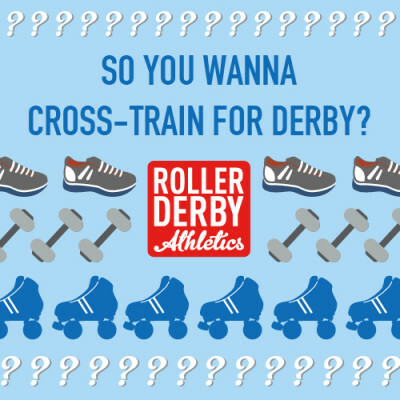 I mean, playing derby is deliberately setting myself up for breaking a bone, tearing a tendon or knocking my spine drastically out of alignment and I am OK with that because I love derby so much. Is this dietary risk much different from that? Great point, Anna – we all have to make those choices for ourselves as far as what we’ll give up to reduce our risks, vs. do anyway because of quality of life! I know I have much more risk of a knee or wrist injury if I continue snowboarding, but I do it anyway because I love it! I have read many articles on this subject, however, there are many more ways to cook meat without the use of ultra-high cooking temperatures (i.e. searing and grilling). Soy products have been shown to cause breast cancer in women as well because after the chemical breakdown on soy in the body mimics high production levels of estrogen, which can lead to cancer. However, many women (and vegetarians alike) continue to consume soy products more than the reccommended weekly dose of two servings per week. I grew up on a dairy farm and my family raised our own animals to butcher for meat (and we still continue to today). I was vegetarian for about 8 years when I was younger (11-19), but my body was a mess because I decided it was easier to eat complete processed crap than healthy nonprocessed foods as I do today. My family has two days each week that are completely meatless, but growing up in the area we did (and my husband and I both on dairy farms), it is almost unrealistic to cut meat completely. We never buy meat from a store, everything is home grown and organic (plants included). There are plenty of ways to prepare meats without going to extremes (burnt or raw). From the articles I have read, even grilling vegeables at high temperatures cause the same effect as grilling meats. Agreed, Merrydeath – I avoid soy products as well, and try to get my protein from eggs, dairy, legumes/seeds/nuts for the most part. Feels like it’s a bit of a “damned if you do, damned if you don’t” world out there sometimes when it comes to health choices and sustainability choices. (Speaking of which, I’m going to have to investigate the environmental impact of my daily almond milk smoothie…). You are lucky to have access to homegrown organic food! I have been vegetarian in the past, however I find that I get exceptionally sick every time. I have since found out that I face certain challenges when it comes to being vegetarian because of my blood type. It can be done, however it has to be done without chickpeas, lentils, pastas, breads amongst a whole host of other things. I try to keep meat to veg meals half and half, but I am too scared to go back to full vegetarian without my health being seriously affected. I would be vegan if I could. I have been mostly vegetarian for about 25 years. It works for me. For about 5 years I was vegan and tended to get lots of sugar cravings, which I took to be a sign that it wasn’t totally meeting my needs. These days I eat a little fish, and other sea critters,perhaps a couple of times a week. I have some discomfort around this for ethical reasons. And it was primarily because I hated the idea of killing things as a teen that I stopped eating meat. These days the ethics are more to do with over fishing and cruel, environmentally damaging farming practices. But there needs to be some balance and I like fish so I eat it sometimes. I’m also lucky to have the kind of body that conserves iron exceptionally well and had access to great knowledge about nutrition from a young age. It makes everything easier, I know a lot of people who struggle with cooking or enjoying healthy food and many more who struggle with iron levels. My kids have never eaten meat and find the idea totally foreign. This means if I eat fish I do it out side the house which also keeps it to a minimum, usually work lunches. We are all very healthy and almost never get ill, so it feels like the balance is right for us. Me and my wife have recently changed our diet to a less-meat diet, specialy cow meat. The benefits are huge, we are more disposed when we wake up till the end of the day. We sleep better and feel much better. We are not vegetarians, but meat is not the center of our diet anymore and it was not difficult to change. If you cannot live without bacon you may eat it but once a while. There is so many other ingredients, so many other flavors than meat. Interesting information. Reviewing the studies there is no mention about whether or not cooking oils were includes in the high heat preparation, as well was what type if any. This type of data can significantly skew results. For example, certain oils undergo changes that cause them to become volatile and carcinogenic when exposed to heat- nonetheless PhIP, the compound in question, deserve more looking into. In the past few years our household has been transitioning away from all sugars, all grains/starches and towards higher fat and protein consumption. In regards to meat consumption, it is best to keep an open mind – there are some amazing studies coming back with results that show ketogenic diets ( fat burning opposed to sugar burning ) can heal the body’s spectrum of ailments and dis-ease. And you don’t have to eat a lot of it! My current body insights read is – Primal Body Primal Mind by Nora Gedgaudas. In her book she does discusses that meat should be eaten as rare as possible and makes a clear distinction between grass-fed meat and otherwise corn-gruel fed production animals – especially in consideration of fat which is where toxins are stored – I’m curious to see if she has addressed PhIP anywhere in her writings. I guess to sum up my viewpoint – if indeed COOKING meat causes carcinogenic impacts, lets not throw the baby out with the bathwater – there might be equally destructive compounds in vegetables.